Blomus is synonymous with intelligent, minimalist, and functional design for the contemporary home. We have built our success on a firm belief in the honesty of materials, the purity of shape, and the necessity of a passionate approach. 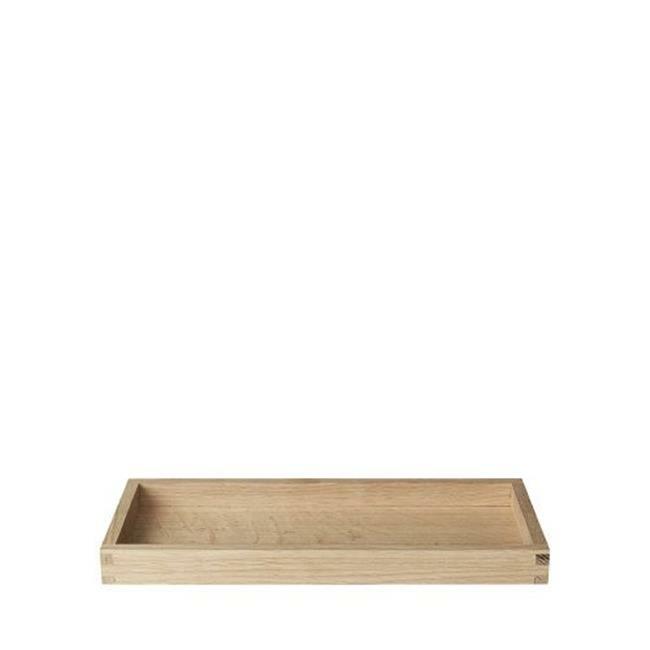 Blomus borda oak tray is a beautiful and practical wood tray for use to serve beverages, accent decorative pieces on tables or shelves or keep countertops organized. Stack multiple sizes together to create depth. Untreated oak. Blomus oak cutting boards and trays are made of untreated oak. This makes for a very natural and classic appearance. Blomus recommends the wood be treated with oil if the item is used with foods to protect the wood against discoloring and prevent food odors and bacteria from attaching themselves to the surface. Suitable oils for treatment are sunflower oil, olive oil, or walnut oil.